A rhinoplasty, more commonly known as a nose job, is one of the most frequently performed plastic surgery procedures across the nation. Over the past few decades, rhinoplasty techniques have made impressive advancements. These improvements have shown qualified rhinoplasty surgeons the great importance of structural support in nasal surgery. Dedicated surgeons now carefully reshape and reposition nasal cartilage throughout your procedure to ensure proper support of the nasal skin. Despite these advances in philosophy and technique, most surgeons still utilize the traditional instruments, including mallets, chisels and rasps that have been used for the last 50 years. Dr. Robert Morin is different. Based on recent advances in Europe, Dr. Morin has upgraded to the advanced world of ultrasound or ultrasound rhinoplasty. This innovative technology allows Dr. Morin the precision and control required to alter the appearance of your nose in a less destructive manner. Board certified in plastic surgery, Dr. Morin was the first rhinoplasty surgeon in the New York area to use this form of rhinoplasty. This cutting edge technology uses ultrasound vibrations to precisely and gently cut and reshape bone. This advancement makes it possible for Dr. Morin to meticulously change the appearance of the nasal bones while protecting the surrounding soft tissue. An ultrasound rhinoplasty, also known as ultrasound rhinoplasty, is a revolutionary surgical procedure which originally gained popularity in Europe. ultrasound rhinoplasty was recently FDA approved in the United States and is performed by our skillful and innovative rhinoplasty surgeon. Dr. Morin was the first surgeon in New York to begin using the Piezoelectric instrument, also referred to as the “ultrasound bone aspirator,” during many of his nasal reconstruction surgeries. Dr. Morin’s experience with this advanced technology combined with his years of rhinoplasty expertise allows him the ability to precisely contour the nasal bone with the impressive power of sound. This valuable device helps us provide successful solutions for patients with a wide range of nasal reconstructive desires. The ultrasound aspirator eliminates the need for many of the more traumatic rhinoplasty tools and allows Dr. Morin to more easily manipulate the shape of your nose. The Piezoelectric instrument specializes in the correction of subtle irregularities, bone removal and bone reshaping, creating an overall more symmetrical appearance. We are proud to offer this state-of-the-art technology, an effective way to re-contour the nasal bones which significantly decreases the risks of unintended fractures or residual bone irregularities. Dr. Morin utilizes “open” rhinoplasty when performing this procedure, this allows him to maintain extreme accuracy and precision over the target areas. Throughout an ultrasound rhinoplasty, Dr. Morin controls the bone aspirator and accurately repositions, smoothes and corrects the nasal bones into a more desirable shape. 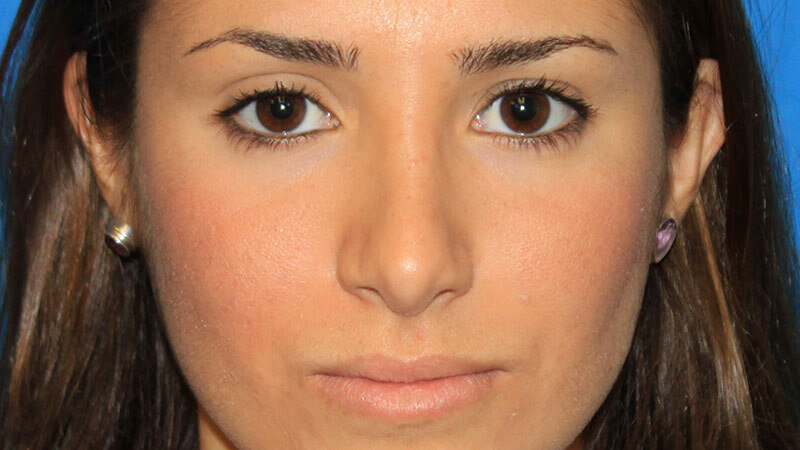 During an open rhinoplasty, Dr. Morin is able to correct deformities and remove bone, creating a more pleasant and desirable appearance. The ability to precisely design fractures allows Dr. Morin the ability to correct an individual’s nose while preventing contour irregularities and asymmetries and while maintaining the integrity of the surrounding tissue. Ultrasound rhinoplasty is a new, disruptive technique in plastic surgery that has revolutionized the way rhinoplasty is performed. As opposed to using traditional tools, this procedure features a bone aspirator which permits greater precision and control, resulting in a more comfortable recovery and a more pleasing outcome. Small blades powered by ultrasound vibrations are used on the nasal bones instead of the archaic osteotome and mallet that have been used for the past 50 years. These blades will only cut bone, leaving the surrounding soft tissue protected from unintentional injury. Rhinoplasty surgeons are therefore able to precisely sculpt, cut and drill the nasal bones, under direct vision, in order obtain natural appearing and aesthetically pleasing results. The benefit to the patient is a more accurate remodeling of the nasal bones, in addition to less bruising, less swelling and a shorter recovery time. Dr. Robert Morin is the first rhinoplasty surgeon in the New York area to perform ultrasound rhinoplasty using Comeg’s recently approved and specially designed rhinoplasty tips. Due to the less traumatic nature of ultrasound rhinoplasty, we’re proud to offer our patients a quicker recovery time. Unlike traditional rhinoplasty which often results in two weeks of bruising, this refined procedure allows a more comfortable recovery process. Our dedicated staff will walk you through each step of your ultrasound rhinoplasty treatment plan. Dr. Robert J. Morin is a leading plastic surgeon in New York. The board certified plastic surgeon and reconstructive specialist works exclusively on the head, face, nose and neck. He is highly regarded for his natural results in the complex area of ultrasound rhinoplasty and is the first rhinoplasty surgeon in the NY area to adopt this revolutionary procedure. Dr. Morin has studied for years to perfect and advance his surgical technique. His highly-specialized facial and medical training includes New York Medical College, the University of Medicine and Dentistry of New Jersey where he extended his studies to include post-graduate training. 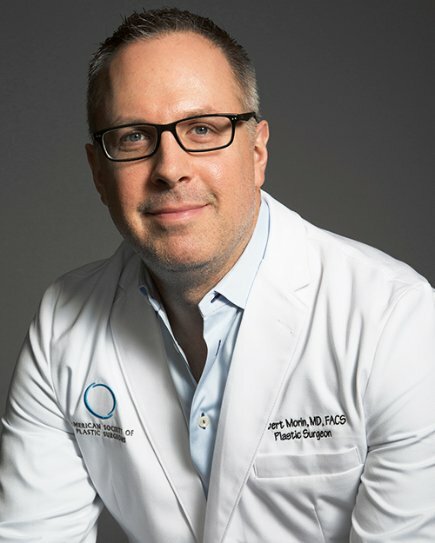 During this time, Dr. Morin developed his special interest as a Craniofacial and Pediatric Plastic Surgeon Fellow at Miami Children's Hospital in Miami, Florida. After training with one of the most respected craniofacial surgeons in the world, Dr. S. Anthony Wolfe, Dr. Morin went on to extend aid to children in underprivileged areas. With his generosity and knowledge, he is able to successfully perform a wide range of complex reconstructive and cosmetic surgical procedures on children in the areas of nasal reconstruction, ear reconstruction and cosmetic and cleft rhinoplasty. He continues to be a distinguished leader in the plastic surgery community by adopting the latest rhinoplasty techniques, committing extensive time to research and presenting at medical conferences internationally. 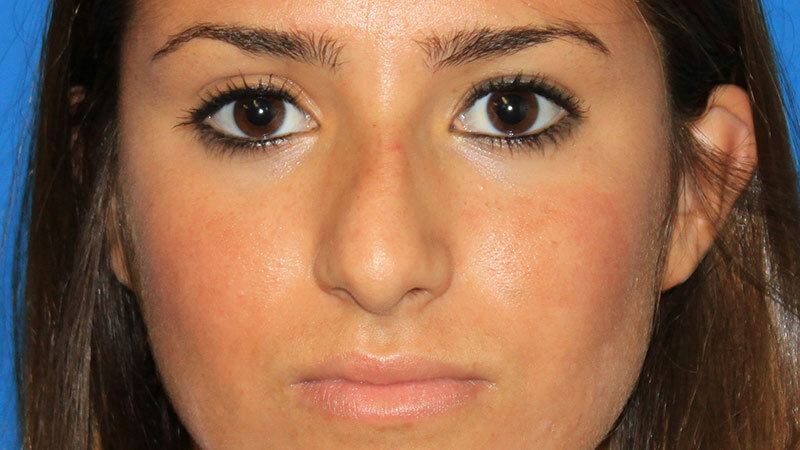 Dr. Morin's addition of ultrasonic rhinoplasty is an innovative revolution for nasal reshaping. Piezosurgery allows for careful contour and precise sculpting with lessened recovery time. Dr. Morin's unique surgical approach helps create a more harmonious facial balance and his natural approach at rhinoplasty is highly-sought after from all over the world. Dr. Robert J Morin prides himself on establishing the highest standards on Plastic Surgery techniques and principles. His personalized technique utilized during ultrasonic rhinoplasty, piezo surgery and traditional rhinoplasty in New York produces excellent results and confidence in patients. Since Dr. Morin understands the unique needs of each patient, he tailors each procedure for the perfect cosmetic or surgical solution. The American Board of Plastic Surgery member combines excellent patient care and the his artistic surgical approach for refined and balanced nose jobs. In addition to the numerous awards he's received, he is a well respected member of several regional and national rhinoplasty plastic surgery societies and is a distinguished contributor on RealSelf.com.